An antioxidant moisturizer based on a unique pro-collagen complex rich in Biotin and Hyaluronic Acid – proven to increase skin hydration by over 50% after 2 hours. Providing up to 24-hour moisturization, this innovative emollient helps to reduce redness and decrease wrinkles. Also containing Blackberry Leaf Extract to aid the natural production of Elastin, your skin will be left with renewed radiance and enhanced elasticity. 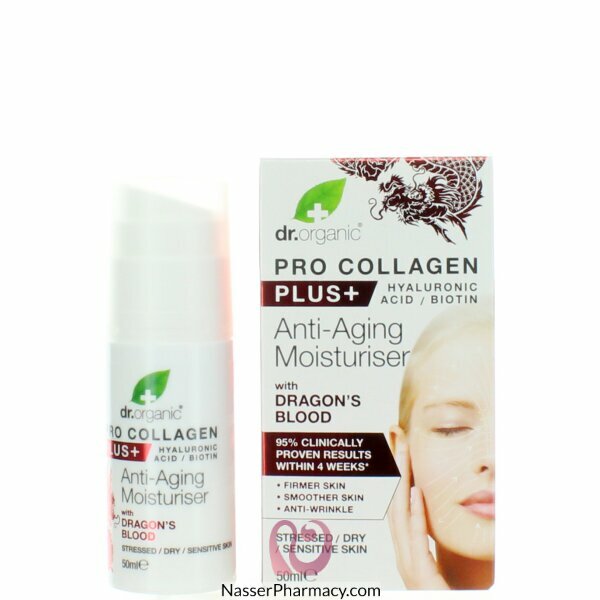 This daily moisturizer contains Dragon’s Blood which helps to replenish dry and damaged skin. Sourced from the Amazonian forests of Peru, Dragon’s Blood is a natural resin derived from the tree of the same name. With proven anti-aging, regenerating and skin-healing properties, it is also extracted via renewable methods to protect both plant and environment. Suitable for vegetarians and vegans.